Metal roofing systems are known for their energy efficiency, recyclability, architectural beauty and ability to withstand the elements. But over time, even the most well maintained of these durable roofing systems can begin to show signs of age. 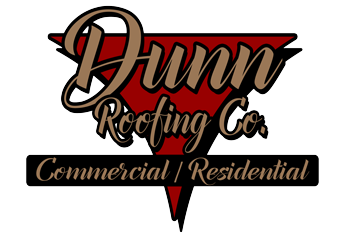 Hot and cold weather extremes, moisture and precipitation, insulation challenges and UV exposure can cause loose seams, cracked penetrations, rust, corrosion, condensation and ultimately roof leaks. While there are many quick fixes to these issues, they won’t solve the problem and can lead to larger, big ticket maintenance repairs down the road. Availability of highly reflective membrane options including EcoWhite EPDM, UltraPly TPO, and PVC. Increased energy efficiency through the use of additional insulation. Mechanically Fastened Option Incorporates 45, 60 or 80-mil thick scrim-reinforced TPO (Thermoplastic Polyolephin) membrane with 10” wide Pressure-Sensitive RUSS positioned along the structural purlins in the field of the roof (5’ or 10’ depending on wind zone). The RUSS is attached to the purlins a maximum of 12” on center utilizing HP Purlin Fasteners and Piranha Plates. The membrane is adhered to the RUSS and adjoining sheets are heat welded together a minimum of 1-1/2”. This option includes an acceptable loose laid insulation used to fill between standing seams (when applicable) and an acceptable insulation or underlayment is mechanically secured over the fill insulation at a rate 1 fastener per 4 square feet, to the existing metal roof with Carlisle fasteners and plates. OR 50, 60 or 80-mil thick polyester reinforced PVC membrane. RhinoBond plate appropriate for the membrane type is positioned over the structural purlins and fastened with HP Purlin Fasteners. RhinoBond/ Invisiweld Metal Retrofit Roofing Systems are different because they are non-penetrating and use induction welding tools, and can also be installed in extremely cold environments where adhesives and asphalts don’t. Conventional Fully Adhered Option TPO or PVC incorporates maximum 12′ wide white, gray or tan 45, 60 or 80-mil thick scrim-reinforced Sure-Weld Thermoplastic Polyolefin (TPO) membrane OR 10’ wide, white, 60 or 80-mil thick scrim-reinforced Thermoplastic Polyolefin (TPO) membrane OR maximum 10’ wide, 50-mil, 60- mil or 80-mil thick Polyester or Fiberglass reinforced Polyvinyl Chloride (PVC) membrane. The membrane is fully adhered to the substrate with the appropriate Bonding Adhesive. Adjoining sheets of membrane are overlapped and joined together with a minimum 1-1/2″ wide heat weld. This option includes an acceptable loose laid insulation used to fill between standing seams (when applicable) and an acceptable insulation or underlayment is mechanically secured over the fill insulation at a rate 1 fastener per 2 square feet, to the existing metal roof with HD fasteners and plates.